It's one week until the Par 3 contest at Augusta National which is also known as the most adorable day in golf! If you haven't watched this, I highly suggest you turn your TV on next Wednesday to see the players' kids and grandkids on the course! I know I'm not the only one who will be watching the Masters this year! I'm hoping to catch some highlights online during the week and then spend my entire weekend in front of the TV! 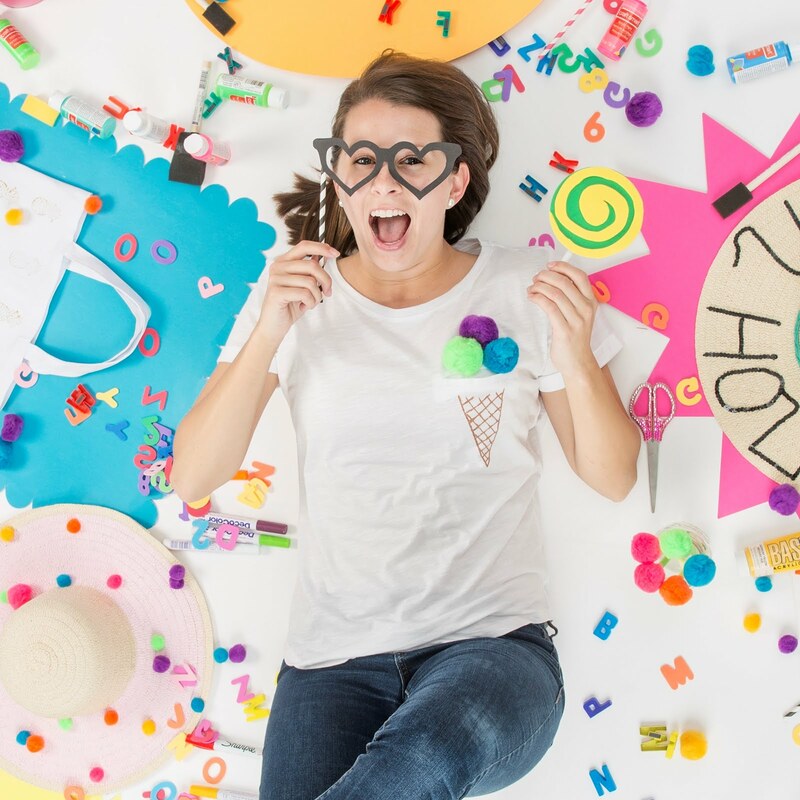 My BFF is hosting a Masters Party on Sunday and I know it will be the cutest event so I had to create something that would fit with the theme! I've seen plenty of cupcakes that look like a putting green (adorable) but I decided to represent the first tee box with my cupcakes!! 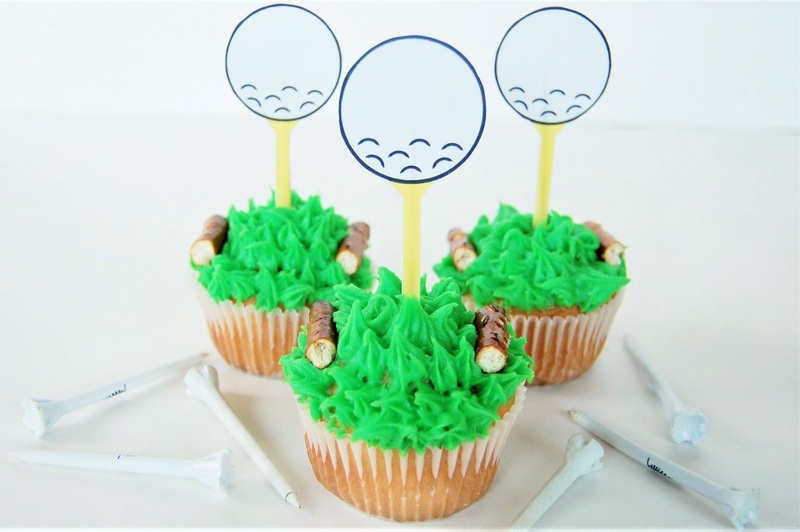 Read on to learn how to make your own DIY Golf Tee Box Cupcakes! White Cupcake Liners - You could use a different color, I just thought they turned out nicely with the white! Green Decorating Icing - Bought this at Target! SO easy to use. Step One: Bake your cupcakes per the instructions on the back of the box! I think the finished cupcakes were easier to decorate when they were not hanging over the edge of the liner by a lot. I recommend only filling your cupcake liners 1/2 or 2/3 full with mix! Step Two: Let your cupcakes cool on the counter or put them in the fridge to speed up the process! Take your green icing and start to add little squeezes of icing on the top of the cupcake. This might take a few tries but I found it easiest to squeeze while the tip was on the cupcake and let go slowly while lifting up the bag of icing. Step Three: Cut your pretzels to look like tee box markers (see my picture)!! I recommend using a sharp knife to cut through the pretzels. As you can see, you may end up with some smashed ones. Try to make the pretzels pieces around the same size! Once you have your tee box markers cut, add them to two sides of each cupcake. Step Four: Print out the free cupcake toppers printable and cut out each image! I printed these on regular computer paper but they would look so nice on card stock! Step Five: Tape a toothpick to the back of each cupcake topper. 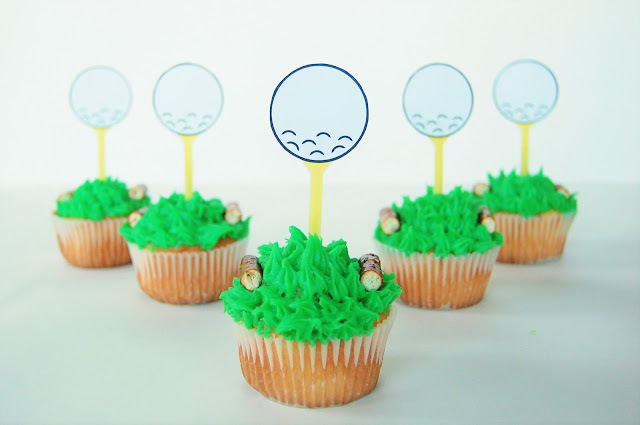 Make sure your toothpick hangs below the bottom of the tee so you can push it down into the top of the cupcake. Add these to the top of the cupcake in between the pretzel pieces. Now you have the perfect dessert to bring to any golf party in your future! Did I mention the Masters is on next week?! Check out more of my golf related ideas here! !